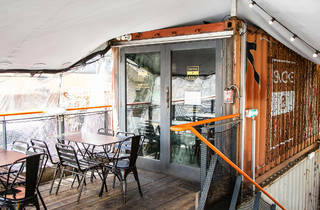 A small plates restaurant in a former shipping container. Is it a magic box? 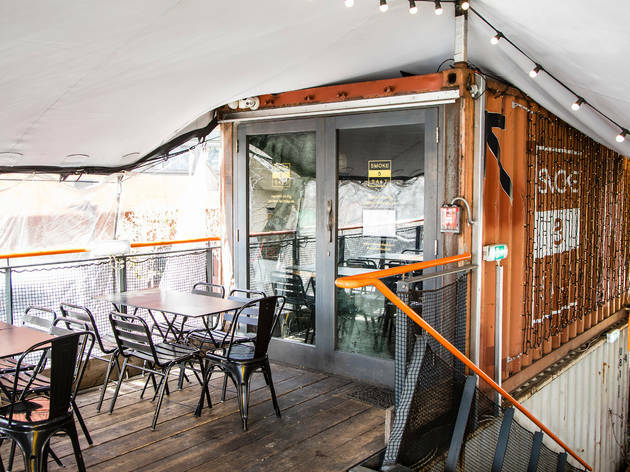 The last time I was in this ex-shipping container, it was home to Kricket (since moved to more solid Soho surrounds), with just two communal tables and a supper club vibe. Now, this Pop Brixton site has transformed itself. 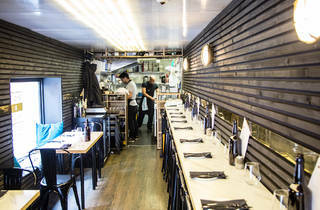 Or rather, its new owners, chefs Aaron Webster and Remi Williams, have given it a clever makeover. 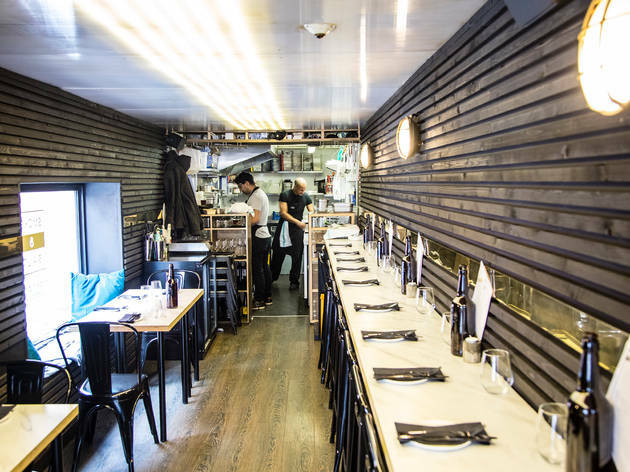 Yes, it’s still a bit of a squish, with only 20-odd seats, now split between a few tables and a narrow wall counter, but the faux marble, dark woods and moody lighting make it slick enough for a Saturday night date. But it’s not formal. God, no. This is a place with personality. There are shiny button magnets – I wonder how many of these get stolen – pinning menus to a brass strip in the wall. The music is an eclectic mix: from Run DMC to Springsteen, it’s like taking a roof-down road trip with a party-loving uncle. The minuscule kitchen is completely open, which means the rest of the room gets hot and smoky. Every so often, they prop the door ajar, to let a little air in. Then there’s the food. I’ve never been in any doubt that these boys could cook. 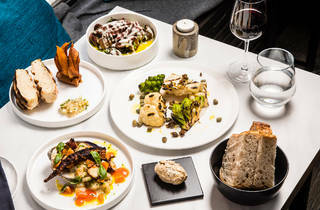 But while the stuff at their above-an-Islington-pub residency (now closed) was a bit show-offy, with mixed results, dishes here are witty without being wacky. 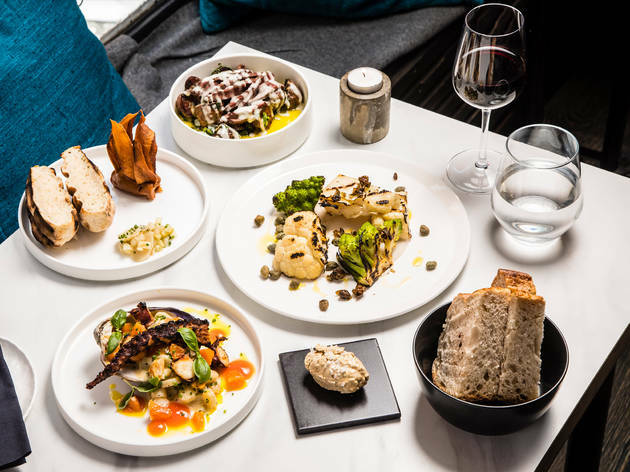 A few signatures remain – there’s that fully-in-its-shell boiled egg (which you crack at the table, releasing an onsen-style wobbler from its confines) – but mostly, these are the kind of modernist small plates designed to make you happy. And it was flawless: perfectly cooked, impeccably seasoned, a triumph of careful composition and texture. 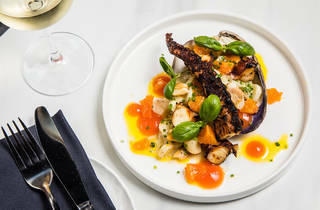 Three dishes, in particular, are burned on to my brain: the new potatoes (more than just potatoes), the octopus (ditto) and the parsnip flatbread (which might just blow your mind). In detail: crunchy-edged, soft-middled new potato halves over a yin-yang duo of sauces. The first, a flimsy, creamy number with a blue note. No jazz, just a hint of gorgonzola. 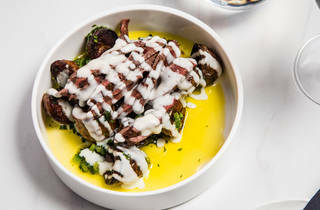 Pooling up against it, an unexpected yet perfect counterpoint of sharp, verdant, scallion-edged chimichurri. The crowning glory: tender, mild, silky slices of beef heart. This is the kind of food that makes you sigh, close your eyes and try to shut out the world. Then buttery-soft nuggets of octopus and rounds of salsify (like anaemic baby parsnips) over a thin chowder-esque base, served prettily in a large clam shell. To the side: accents of blood orange (shimmering segments, a jelly-ish coulis). 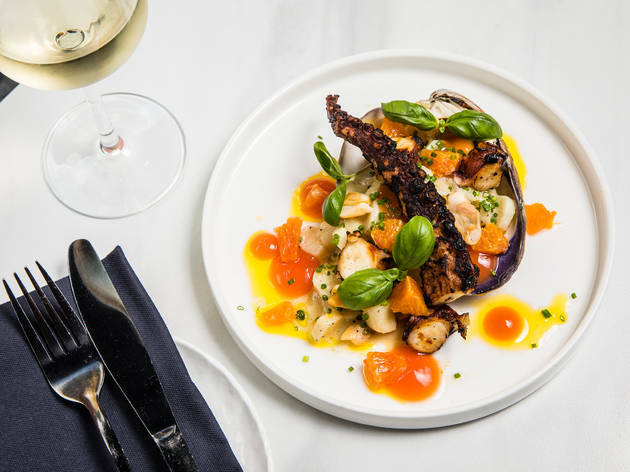 Like Smoke and Salt’s other showstoppers, it’s somehow homely yet stunning. Finally – and I think my favourite of the night – a fat, fluffy flatbread, with soft parsnip chunks baked into its centre, and a spidery arrangement of dark gold, wafer-thin parsnip swords to one side. After drawing a few out, Excalibur-like, you’ll arrive at the soft clay holding them in place: a ‘burnt yeast cream’, which was intense and moreish, like a dollop of thick, bitter-edged salted caramel. On the side? A pale green pyramid of gently pickled slivers of garlic and apple, studded with golden raisins. Absolutely genius. But I’ve said it before and I’ll say it again: restaurants are about more than just food. And what’s also special about S&S is the service. The affable, clued-up manager made us feel like we were the only people in the room. Pacing was perfect, each dish just overlapping with the previous one, like a culinary relay race. 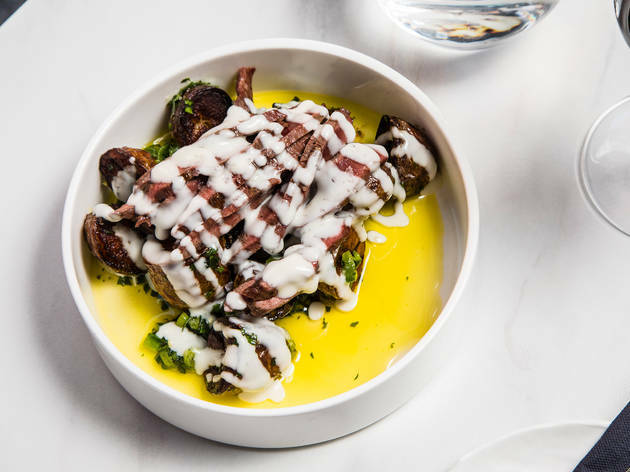 ‘We take care to send lighter, more delicate dishes first,’ added Williams proudly, when, towards the end of service, he took time out to come around and chat to every table. And the bill! Ludicrously good value, when you consider the portion sizes and quality. So go now, before S&S inevitably moves on to bigger and more brick-based things, and this box transforms itself once again.